It all began in 2017 at PAWMA camp on Vashon Island. 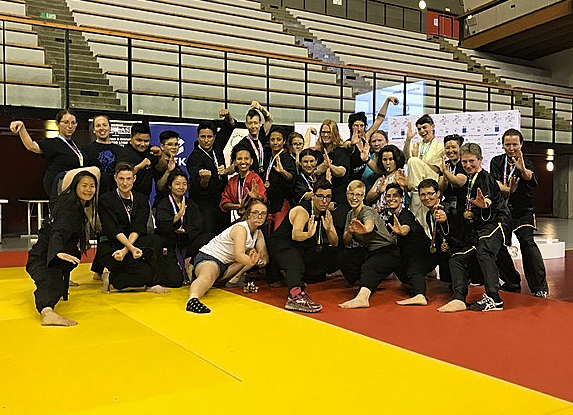 That was the first time I felt I was a part of a larger martial arts community. Seeing people from different disciplines and abilities sharing the same spirit lit a fire inside and filled me with hope and pride that I, too, could elevate to my best level. The boost I received from PAWMA, constant encouragement from my teachers and friends I train with, and my personal drive to meet the high standards set by my school, fueled my desire to put in the hard work, dedication, and many hours of training necessary to do my very best at Gay Games X. My goal was to go into the competition at the top of my form, the best I could do, with no regrets whatsoever. A year of focused training all boiled down to less than two minutes of performance, halfway around the world in Paris, France. Competing in front of a row of internationally acclaimed judges was one of the scariest things I’d ever done. At the same time, it also was one of the most special because it felt like I was opening a gift. I honestly cannot remember how I did, or what my scores were. I didn't know if I'd won a medal or not, but I knew I was the only one from my school in the senior intermediate category, so when the judge began announcing the 3rd place winner was from Seattle Sil Lum, I knew he meant me! I jumped up and flew over to the #3 spot on the winner’s platform! I was filled with immense pride for myself and my school. 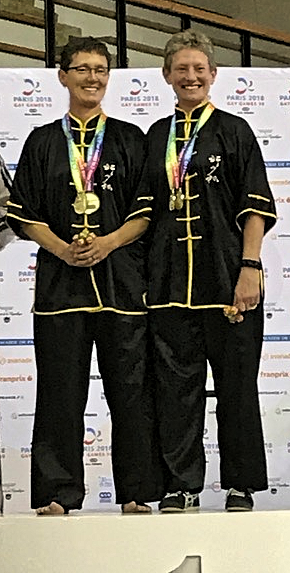 Winning the bronze medal confirmed for me that believing in myself, my teachers, and our global martial arts community - along with never (ever, ever) giving up, pays off. 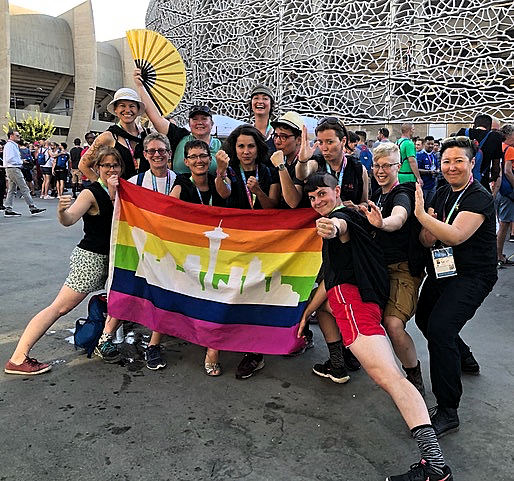 Seattle Silum and Hand to Hand at Gay Games 2018 in Paris, France. Photo courtesy of unknown Gay Games participant. Seattle Silum shows off the Seattle Pride flag on the streets of Paris, France. Photo courtesy of unknown Gay Games participant.